Sony will launch its hotly-anticipated PS5 in "March 2020 or November 2020" and will charge $499 (£380) for the console, according to a leak from a "third party small developer" that has been "helping a well known company in a AAA game development". If that PlayStation 5 release date and price sounds familiar, it's because we've heard both mooted before. 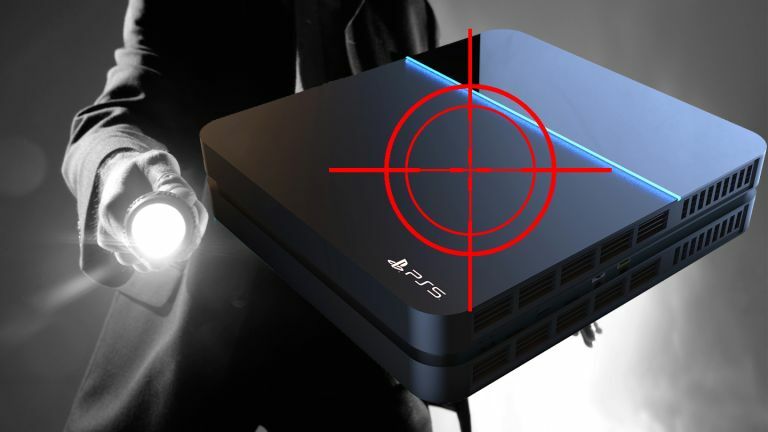 As video game website Gamesradar reports, the leak states that the exact day of release is "not yet finalised" but that the information within it is "99% correct" and the PS5's "specs are set in stone". Given that this aligns with previous rumours around the launch, it seems safe to assume it's probably very close to the correct date. The unkillable leak originally hit online text depository Pastebin last December, but as Gamesradar note, it "has been making the rounds again recently" and in light of some of its claims been apparently backed up by other leaks that have dropped since its original publication, its propheticalness seems to be on an upward curve. According to the insider tip-off the PS5 will release in March 2020 or November 2020 (in accordance with Sony's rumoured shadow war), will cost $499 (£380), and come with both backwards compatibility (since supposedly backed up by this PS5 backward compatibility leak) as well as the ability to play both physical and digital games, and also offer 8K upscaling, too. Specs-wise the leak claims that the PS5 will come with a next-gen 7nm Ryzen 8 Core CPU, 7nm Navi architecture 14TF GPU, 24GB of GDDR6 RAM (with an additional 4GB just for the OS), and a NAND flash 2TB hard drive. Interestingly, last June a rumour broke that the PS5 was indeed using AMD's Navi graphics tech. The leak also says that alongside the PS5 the next PlayStation VR headset will also launch, and boast a big resolution boost, a 220-degree field of view and, interestingly considering the story we reported on just the other day, eye tracking and much less capable management. Now, of course, anyone can post something to Pastebin and, with no bona fides forthcoming, this leak should definitely be taken with a pinch of salt. However, the claims in this apparent leak are pretty close to everything we've heard on the next-gen rumour grapevine so far, and in some circumstances are identical, so regardless of whether this is a real tip-off or not, it does at least seem like a ballpark rundown of what we could expect from Sony. A March or November release does feel very possible, with both periods classic times of year for releasing new consoles, while that price of $499 in the US at launch also seems on the money, as Sony would be foolish to approach the dreaded $599 price point again (everyone remembers the PS3 pricing debacle). With Sony pulling out of E3 2019, unfortunately chances currently look slim that we will get any official confirmation about the PS5 price, release date, or specs, anytime soon. However, hope among PlayStation gamers right now is that the machine will be announced at a standalone event later in the year, maybe even at PSX2019.